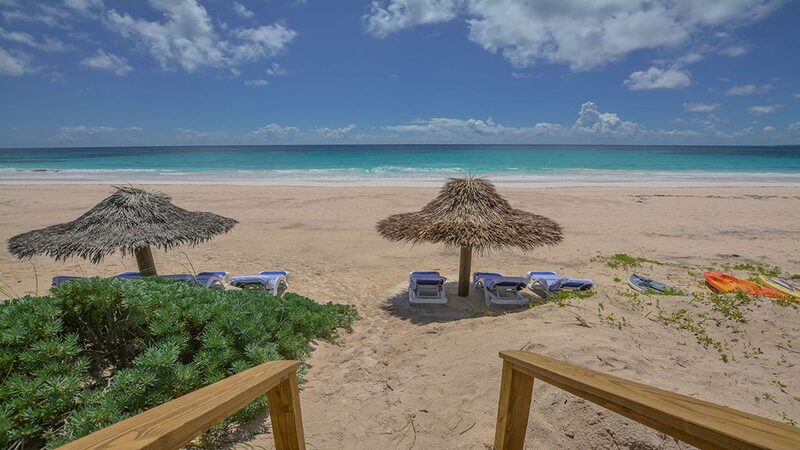 Enjoy the turquoise ocean water and famous pink sand beach right from your backyard. 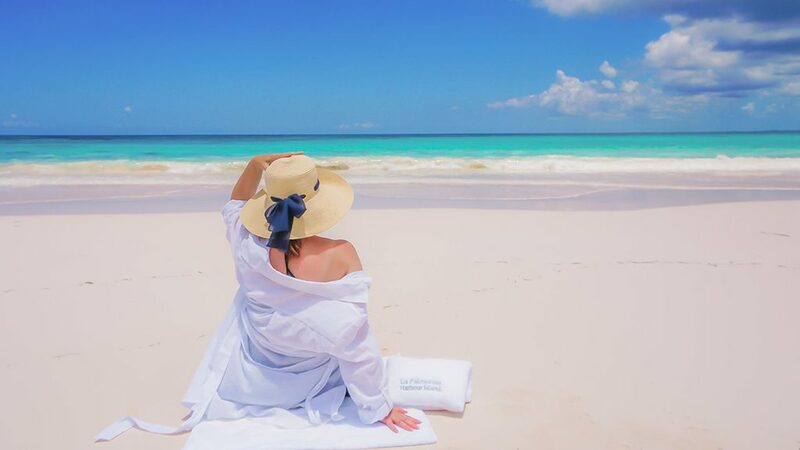 The perfect backdrop to sunbathe, relax by the sea and to enjoy a wide range of activities including swimming, boating, diving and snorkeling. La Palmeraie sits on 140 feet (40 meter) of ocean waterfrontage and provides breathtaking views of the emerald transparent Bahamian waters. 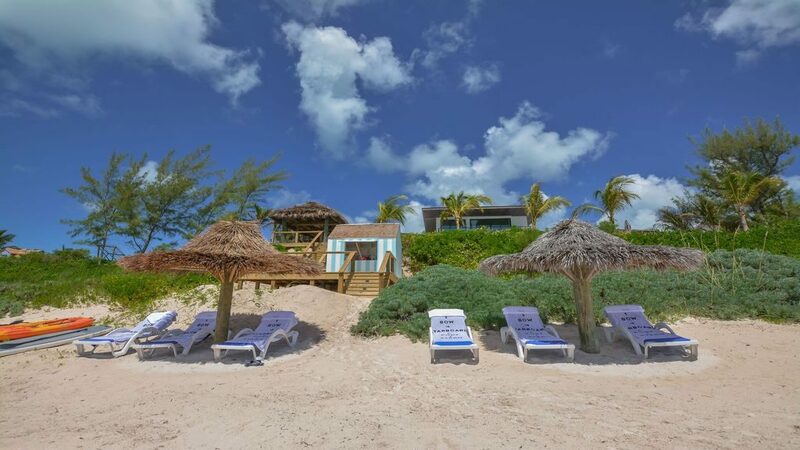 Guests will enjoy private beach access by way of stairs that lead down the sand dune to the beach. 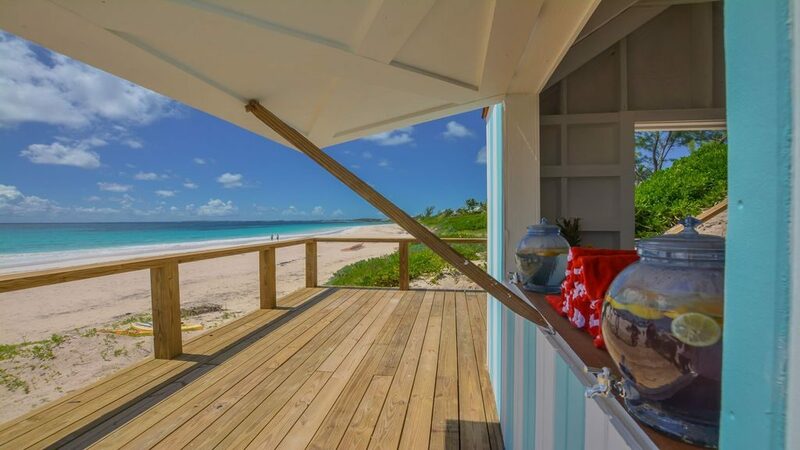 Here they will find the villa’s private cabana equipped with a refrigerator and extra beach towels. 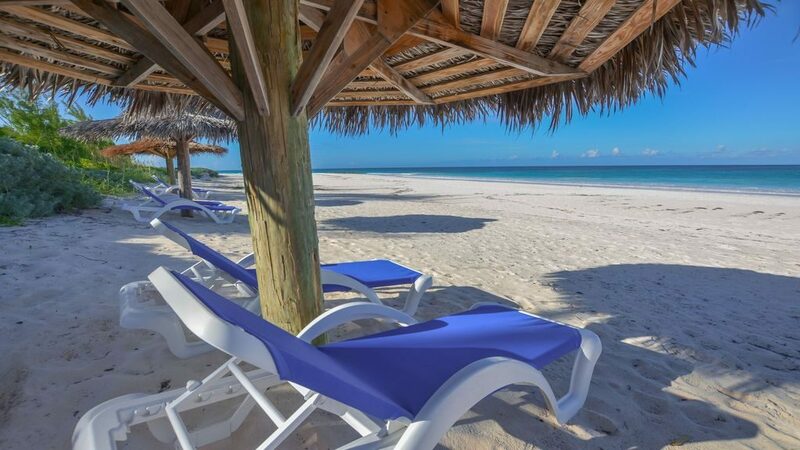 There are plenty of lounge chairs for sunbathing and tiki umbrellas for the shade. 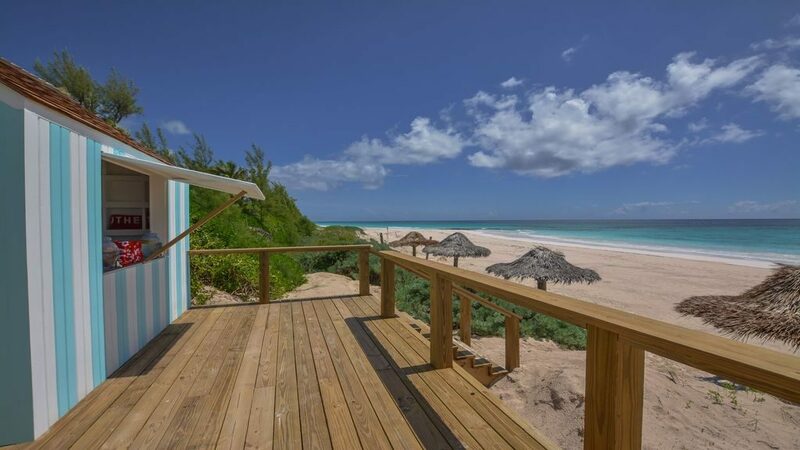 Before heading back up to the house our guests can use the outdoor shower to rinse the sand off. 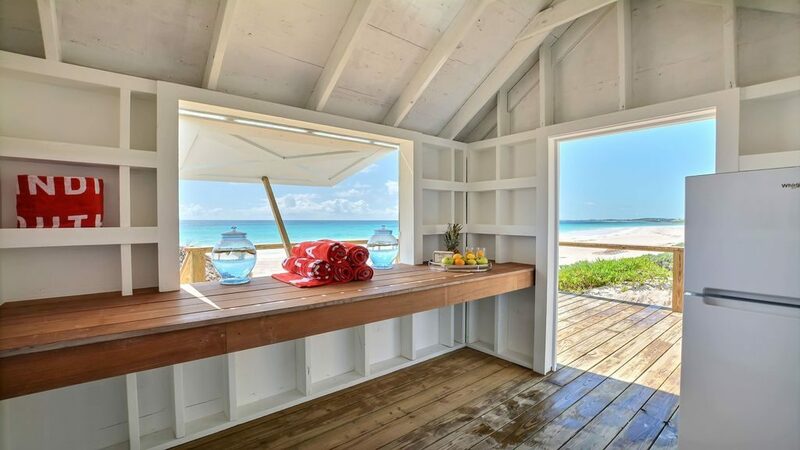 The Villa's private beach cabana is equipped with a refrigerator and extra beach towels. There is also an outdoor shower guests may use to wash the sand off before continuing up the steps to the pool.